If you’re looking for comprehensive obgyn care in Surprise, Arizona, Premier Care For Women is right for you. Their caring team can help you through each phase of your pregnancy, including careful monitoring during your prenatal checkups through delivery and postpartum recovery. Your first obgyn prenatal appointment will test for abnormalities in the cervix and STDs. Additional tests will include blood work for antibodies and iron levels. An ultrasound will also be performed at that time. Prenatal monitoring at Premier Care For Women will include testing for gestational diabetes and preeclampsia as well as monitoring the baby’s heart rate and growth. It is critically important that you attend all your appointments with your obgyn surprise az! Antenatal testing is available at Premier Care and is done to study how well the placenta is supplying the baby with the necessary blood and oxygen. While there are many forms of antenatal tests available, the most common and least invasive you may experience are Fetal Kick Count tests, a Non-Stress Test, Ultrasounds, and Doppler Flow Studies. Fetal Kick Count tests are done on a daily basis from the 28th week of pregnancy and can be done at home by the mother. Simply choose a specific time of day, and each day monitor how long it takes you to feel ten fetal movements. Should you notice any decrease in fetal movement during this set time each day, contact your obgyn. A Non-Stress Test is performed in the office with a fetal monitor. This test is tracking fetal heart rate to confirm the placenta is delivering enough oxygen. The Ultrasound testing will generate results known as a Biophysical Profile, monitoring gross movements within the womb. Doppler Flow Studies provide detailed information on the blood flow in the umbilical artery to confirm the placenta is working effectively. All of these tests are safe and will provide your pregnancy team with valuable information on your health and the health of your baby. 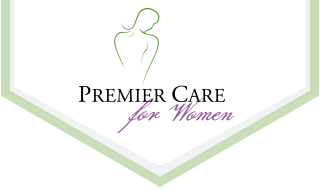 The staff at Premier Care For Women includes Dr. Gary Newman, an Osteopathic Obstetrician and Gynecologist with expertise in normal and high risk pregnancies. Additionally, Premier Care For Women staffs two certified Nurse-Midwives, Janelle Drogowski and Amanda Simon. The goal of these dedicated professionals is to help you have a natural pregnancy and to inform you about the delivery experience. In addition to high quality care, you will receive helpful information to aid you through all the phases of your pregnancy, delivery and postpartum recovery. For great care and a great delivery experience, make an appointment with Premier Care For Women for obgyn surprise az. Call 623-584-0800 to schedule today! Contact the Midwives Phoenix Women have Trusted for Their Delivery In "News"
The Importance of Women’s Health In "News"